A PARLIAMENTARY probe team will be set up to look into allegations that Mines Portfolio Committee chairperson, Temba Mliswa, and three other MPs demanded a $400 000 bribe while carrying out an inquiry into Hwange Colliery Company's operations. Speaker of Parliament Jacob Mudenda announced the decision yesterday after Makoni South MP Misheck Mataranyika (Zanu-PF) moved a motion of privilege in response to reports which alleged that Mliswa together with Magwegwe MP Anele Ndebele (MDC Alliance), Binga North MP Prince Dubeko Sibanda (MDC Alliance), and Gokwe Kabuyuni MP Leonard Chikomba (Zanu-PF) solicited a bribe from businessman James Goddard so that they could facilitate him to secure a contract with Hwange Colliery Company. "During the period that the four MPs allegedly met Goddard, the Mines Committee was doing an enquiry into the operations of Hwange Colliery," Mataranyika said. "The allegations are very serious and injurious to the reputation of the MPs, the committee and Parliament, and in that regard, the allegations made constitute breach and contempt of Parliament. However, in raising this matter, I am not saying that the MPs are guilty, but simply to provide the MPs with an opportunity to clear their names and protect their integrity and that of Parliament." "To that extent Parliament must be seen to abide by this provision among others. Having listened to the report by the MP, indeed, the allegations are serious and have the potential to damage the integrity of Parliament, the Mines Committee and MPs," he said. "I want to support what you have ruled and by so doing, I am a person of integrity and honour and I, therefore, step down as Mines Committee chairperson until the investigations are done. 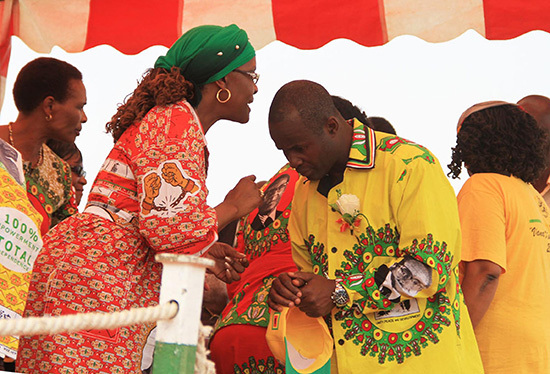 I am innocent until proven guilty and I uphold my integrity," Mliswa said. In an unrelated matter, Mudenda announced that Chegutu West MP Dextor Nduna (Zanu-PF) will now chair the Transport Portfolio Committee instead of Murewa North MP Daniel Garwe. Meanwhile, Energy minister Joram Gumbo also told the Senate that fuel queues were being caused by motorists still clearing their coupons purchased before the fuel price increases. He said the central bank had procured 24 months' worth of fuel, adding that the queues were also caused by hoax social media messages of another looming fuel price hike.